Digital mobile police scanners, or digital police scanners, as there are frequently known, enable you to easily tune into the neighborhood and world surrounding you, automatically grabbing the Police, Fire and EMS channels in your area (Source). These scanners are exceptional resources to stay informed during regional emergencies and remain apprised of other local events. And with location-based scanning it's an easy and hands-free way to tune into tens of thousands of different channels. That said, many users report that it can be difficult to program these channels manually without referencing external websites and software. This is a quality, cost-effective option that does have a bit of a learning curve. Especially if you're not a technical person. If you are not a technical person or are not familiar with radios, you might want to skip this one. Many of the negative reviews were from people who just could not figure out this scanner. Once set up, it's pretty simple to to make and change scan lists. You'll need to use a computer to program the scanner- buyers say you might want to skip it if you aren't using a PC with it. The computer software enables you to program the scanner. It ships with a USB programming cable that will plug into the scanner's front panel. For software, you'll want to visit RadioReference.com and you can download programming software like the WIN500 and ARC500 applications. You can use those progrmas to make scanner changes. Let's take a look at 5 of the best-selling mobile and desktop police scanners on the market today. This 21 mode, digital Whistler desktop scanner is a well-programmed police scanner that offers free form memory alignment. Its users like the easy-to-use interface, but feel that it does not pick up as many channels as its manufacturer guarantees. It can scan over 38,000 objects, and offers Spectrum Sweeper and Skywarn button options. This is an option to consider if you are looking for a desktop scanner with solid basic features. 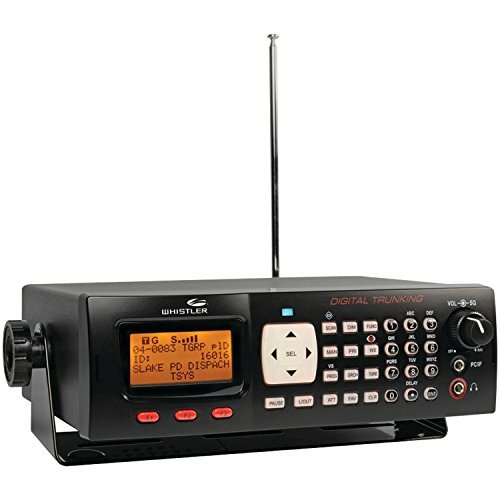 This 25000 Channel Digital Police Scanner is a dynamic option that features infrared technology and powerful memory. Its users find it highly receptive, but also note that the antenna provided with scanner doesn’t always work, leading to breaks in transmission. This Uniden Trunk mobile scanner has RF-capture technology and GPS compatibility enabling thorough and precise tracking of local events, weather and other community-area information. If you are looking for high-quality sound reception and good memory the Uniden mobile scanner is a great option. This pre-programmble Home Patrol scanner from Uniden is another effective digital scanner with quick scanning technology. Its users find that the reception and memory to be exceptional, but also note that saving a favorite list is a time-consuming process. The Home Patrol Uniden scanner has firmware and database upgrade features making it easily updated and ready to use at any time. 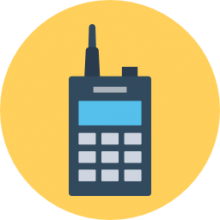 The Uniden police scanner is a good option to consider if you are looking for an efficient Phase II scanner that is ready to use out of the box. The multiband, UV-5R V2 Baofeng scanner is a great option that provides robust monitoring features. Its users find its extended battery compatibility enables use for longer times at a stretch, but they also note that a fresh antenna should be bought for better reception. 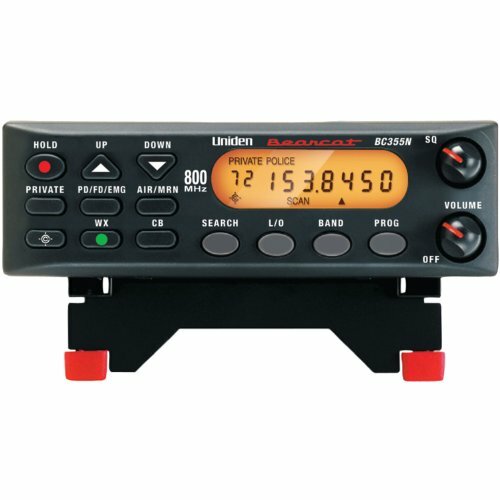 The Baofeng dual way radio scanner has a recently upgraded LED display that makes it especially easy to view. This 400-480 MHz digital scanner is an effective option if you are looking for a great performance and quality at a cheap price. 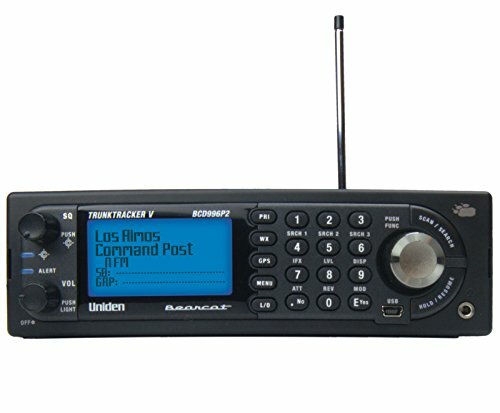 The 300 channel, RF Uniden Mobile Scanner is an affordable scanner that has a unique lockout feature for blacklisting unwanted frequencies and covers all action bands comprehensively. Its users like the RF capture feature, which tunes instantly to all signals from the transmitters present nearby, but also note that it is not very easy to program. The Uniden BC355N mobile scanner comes with convenient features like a program lock, robust powering options and close call. The BC355N Uniden police scanner is a good choice to consider if you are looking for an inexpensive scanner with robust basic features. One licensed technology communications specialist who is expert in shortwave and scanner radio technology found that the Whistler WS1065 was the best unit in terms of reception, band sensitivity, sound quality and in terms of its small physical footprint. He particularly enjoyed the backlit display because he frequently uses it at night. He does advise that if you are not a advanced user, don't even try to program it manually-it's better to just pay the subscription to join radioreference.com so that you'll be able to configure the digital police scanner through your computer. Others that have more of a geeky bent have enjoyed the challenge of manually programming their Whistler WS1065- finding that it does take a while to figure it out but if you enjoy the challenge it's definitely worth attempting. Another hobbyist who purchased Uniden BCD996P2 unit similarly described how challenging it was to manually program his digital police scanner- he opted for the Freescan software to manage his device. Another consumer describing his experience with the Uniden digital police scanner comments that he had had a couple of conventional trucking scanners over the past decade but had become interested in using a scanner with dynamic memory architecture. One of his primary criticisms was the modern changes of radio-related terminology-the Uniden model stopped referring to things like banks, scan lists, and channels and now was referring them as systems, sites, groups and quick keys. Once he began using this desktop digital police scanner, he found that the GPS functionality works well and that the scanner is able to automatically lock and unlock onto groups in different systems as you move around. For example, he frequently migrates throughout different metropolitan areas, weaving in and out of suburbs, and the scanner will automatically unlock and lock on to different groups for totally hands-free scanning. He gives it a wholehearted endorsement for its performance for analog as well as phase 1 and phase 2 digital trunking systems. His only real qualm is that the manufacturers seem to assume that people that purchase these scanners are advanced radio programming operators-so they don't author the instruction manuals in a way that a layman can reasonably expect to follow. Entering frequencies in software is done easily than entering the frequencies directly in the unit. Some of the touch features are difficult to use while driving. Digital police scanners frequently include intuitive menu systems that assist you with programming the scanner correctly, dynamically advanced memory systems, GPS compatibility, RF capture technology that enables signal grabbing from nearby transmitters, and tens of thousands of allocated channels. Digital police scanners are pretty basic to work- especially when you get auto-updates up and running. Generally these digital police scanners will automatically grab local channels- but as with any advanced tech product you will have to learn how to optimally configure it. Isn't that, partly, the fun of it?